japanese toys, toy, strap, figures, takara, koeda chan, retro, kawaii. Here is a Koeda Chan strap set which includes 2 figures. The figures can be attached to strap. The product was released by Re-ment and Takara in 2000. The item is in new condition and remains factory sealed. 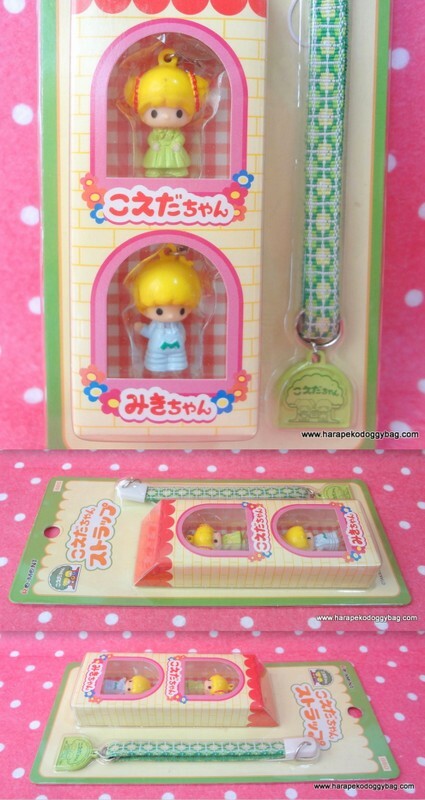 Keywords: japanese toys, toy, strap, figures, takara, koeda chan, retro, kawaii.